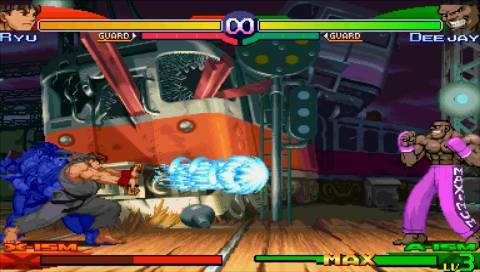 REVIEW: A true successor in every way to SFA1 and SFA2, Street Fighter Alpha 3 was a dream come true for long-time fans of the series in 1998-1999. 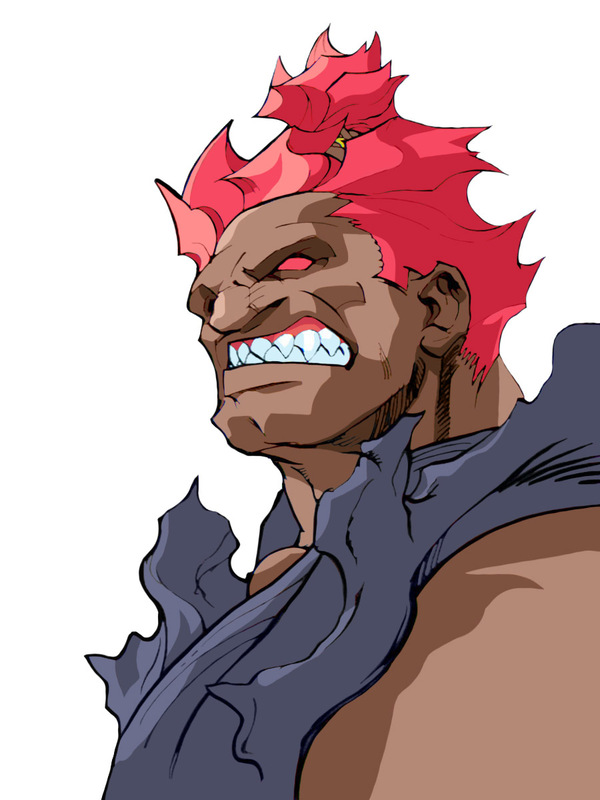 In SFA3, previously missing fan-favorites like E. Honda, Blanka, Balrog, and Vega make their epic debuts into the Alpha saga, making for the most robust and colorful character roster in any Street Fighter title to date. 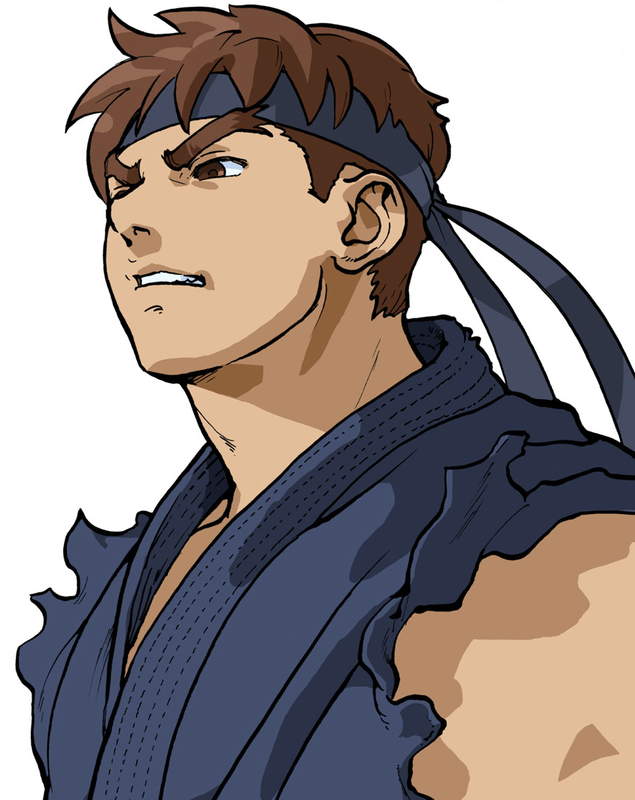 Naturally, the classic fighters were given completely new sprites, animating smoother than ever before and even boasting new moves. 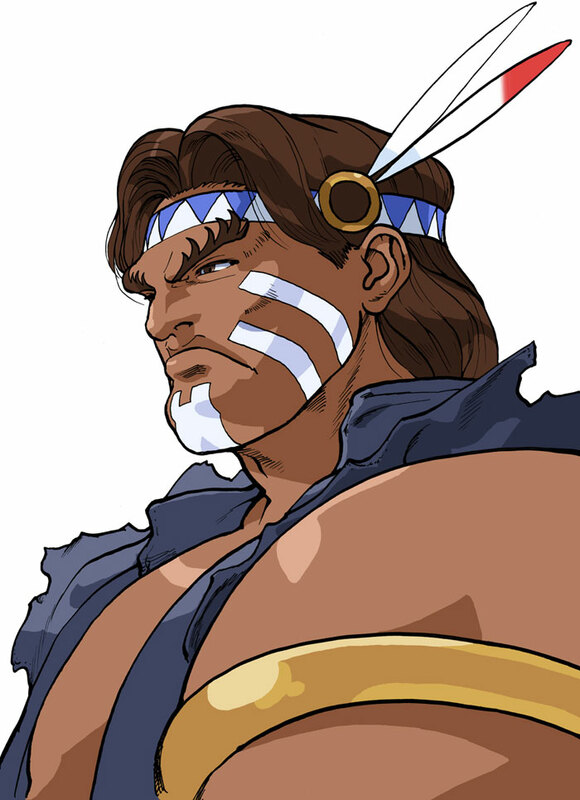 FUN FACT: The art style of SFA3 was so influential to the Street Fighter series, that SFA3 character sprites appeared in at least 3 other games... Marvel VS Capcom, Capcom VS SNK 2 and Capcom Fighting Evolution. 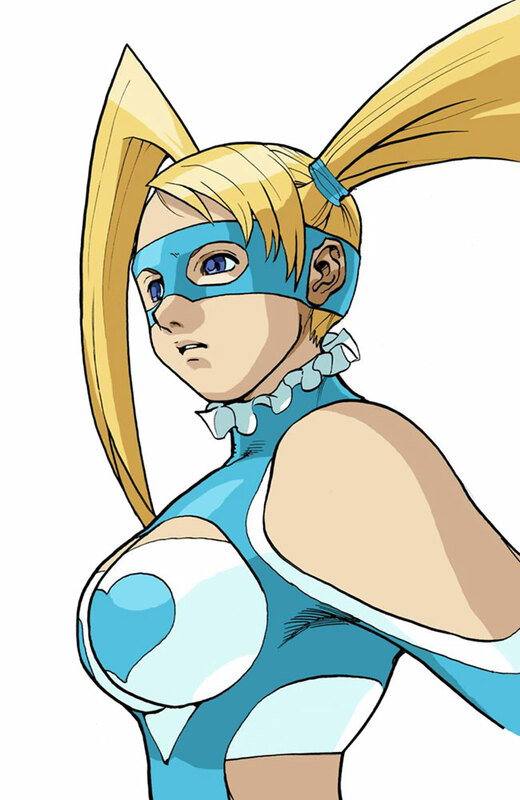 The returning veterans are joined by 3 newcomers: Karin - Sakura's rival who first appeared in the manga Sakura Ganbaru, R. Mika - an acrobatic Japanese female wrestler who idolizes Zangief, and Cody - one of the protagonists from Capcom's classic arcade beat-em-up, Final Fight (1989). 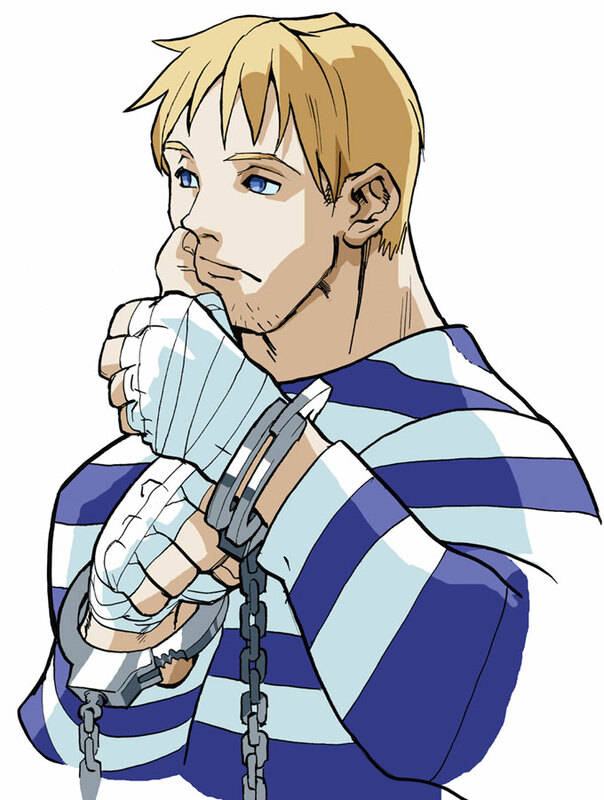 Cody's Street Fighter debut is particularly epic (especially to any old school Capcom fan), since he appears as an escaped convict (which makes perfect sense, considering he relentlessly beat the hell out of 100's of street thugs in Final Fight)... On a side note, one of Cody's super moves is even a throwback to his classic "jab infinite" in Final Fight. 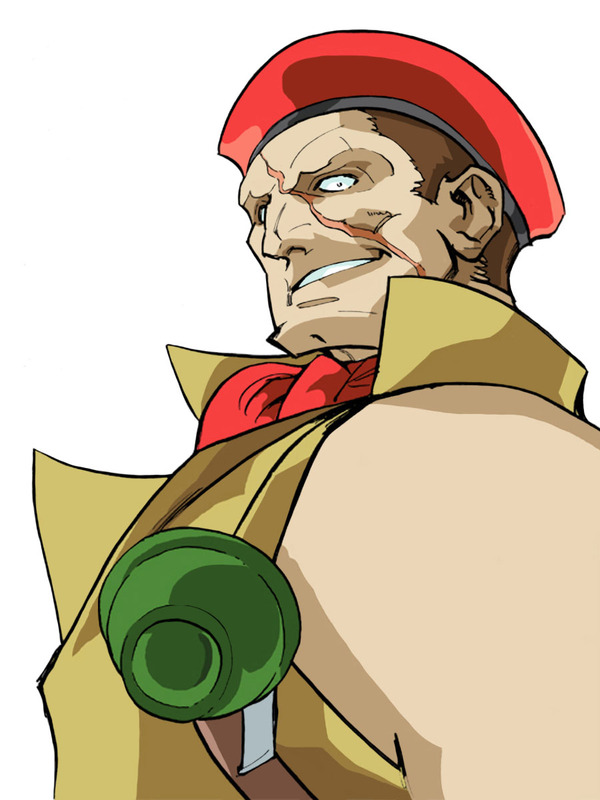 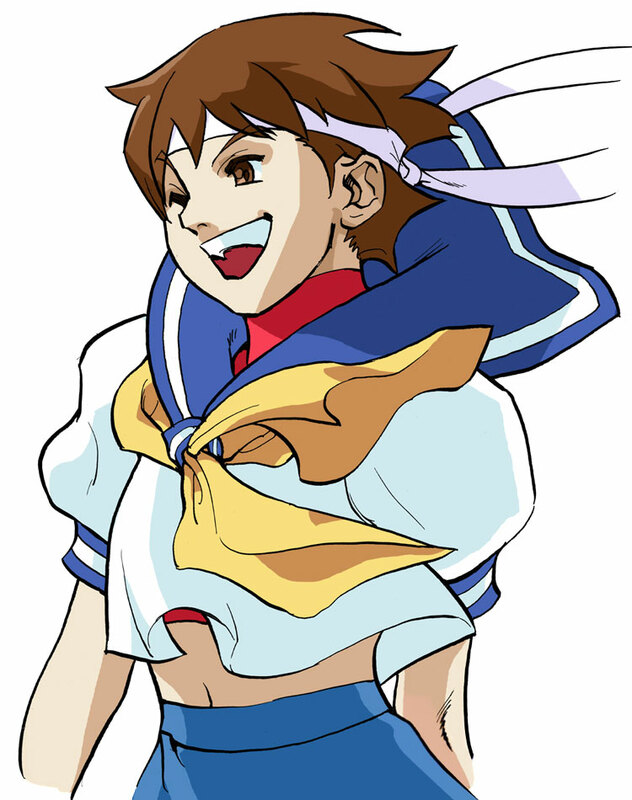 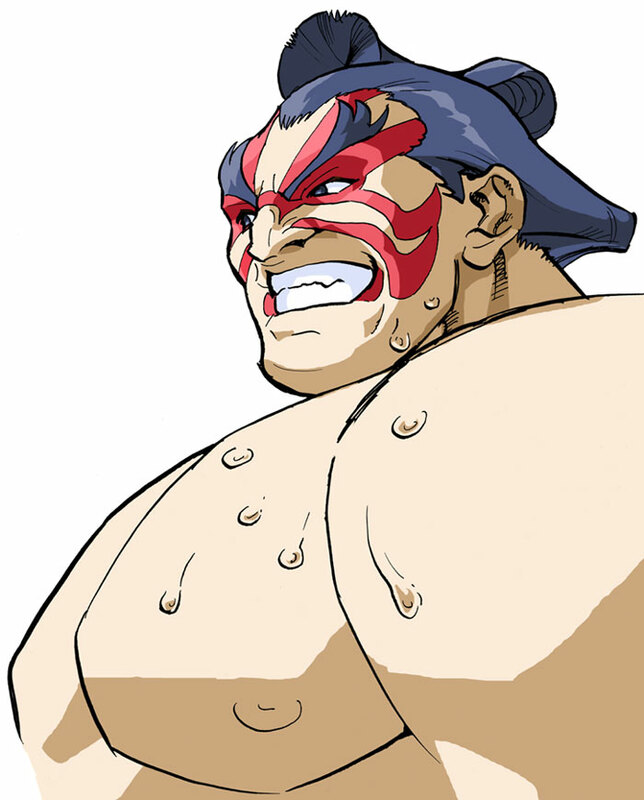 That level of epic fan service is unprecedented, and it's only one example of many in SFA3. 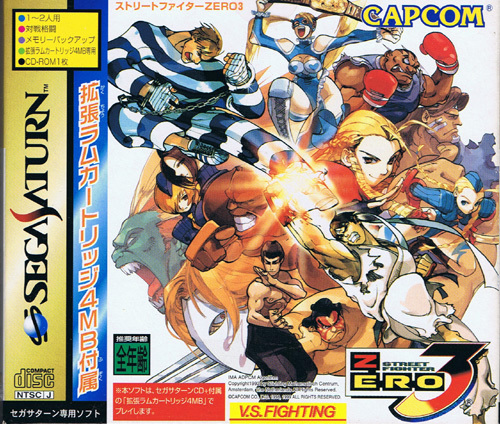 Still in love with that selection screen artwork. 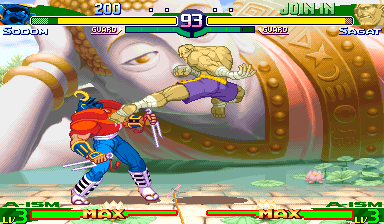 The core gameplay system from the prequels has been streamlined in Alpha 3, keeping most of the gameplay trademarks intact, but giving returning players a host of new options to play with. 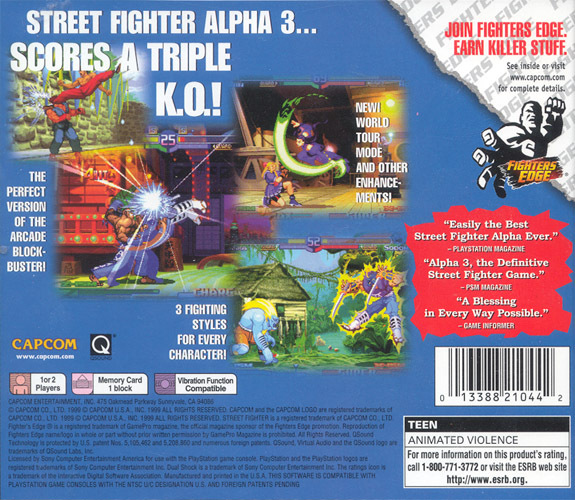 Alpha 3 discards the "Manual" and "Auto" modes from the prequels, introducing 3 different playing styles known as "isms". 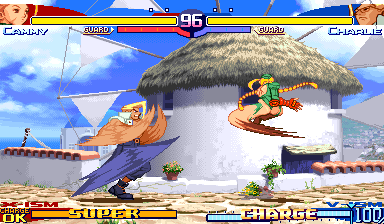 After selecting their character of choice, players choose from "A-ism" (three-tiered super combo meter), "X-ism" (one-tiered super meter style based on SSF2T), or "V-ism" (custom combo style based on SFA2's system). 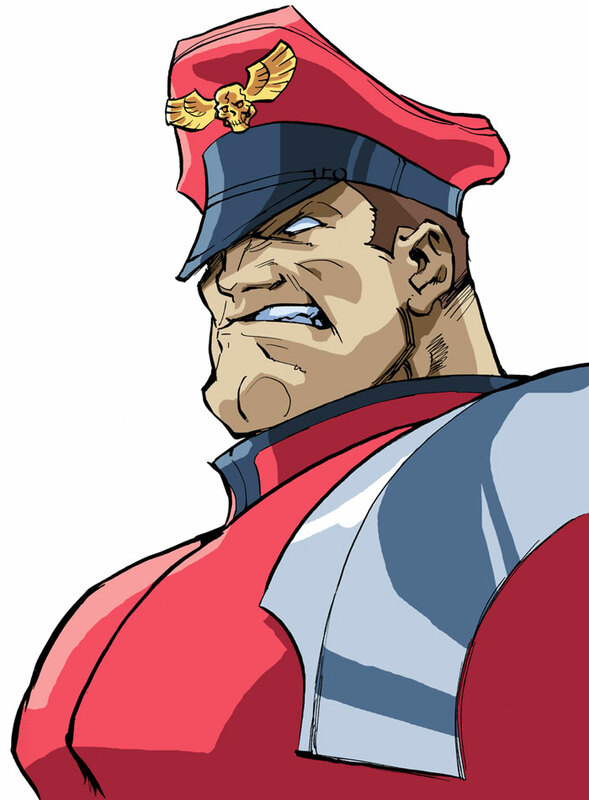 These isms allow players to play SFA3 characters how they want to, as X-ism is based on a more classic formula, while A-ism and X-ism offer the newest and freshest mechanics of the Alpha series. 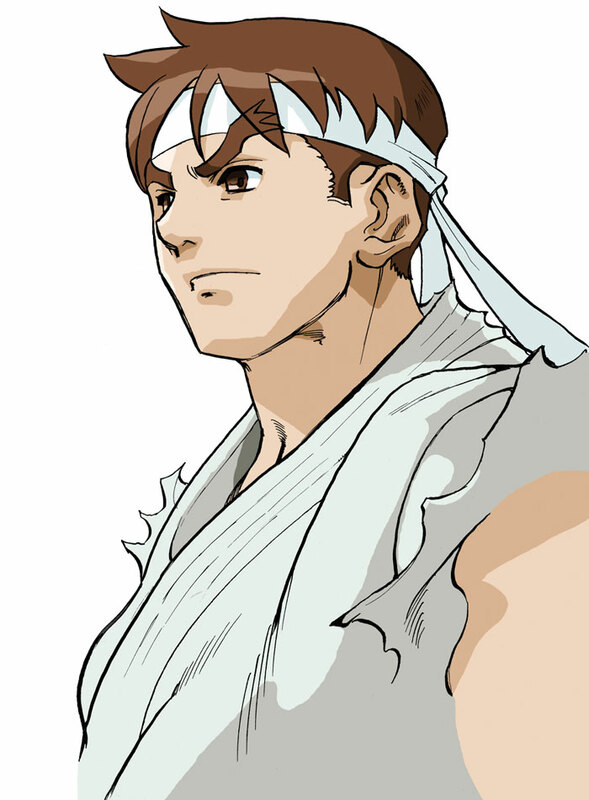 There are tons of tiny nuances that change for each character depending on which ism is chosen, ranging from animation changes, to alternate move commands, and of course how specific attacks function. 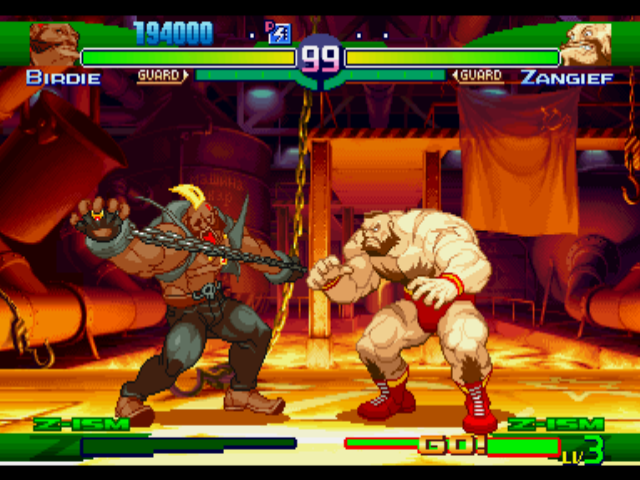 These new modes of play add awesome customization value never before seem in a fighting game, and allows each fighter to be used very differently depending on their "ism". 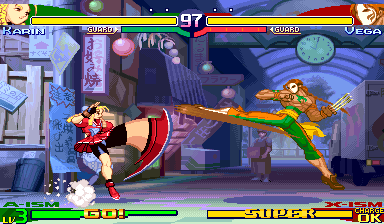 Each character also has 6 different color options (and in the arcade version, character color depends on which "ism" is selected). 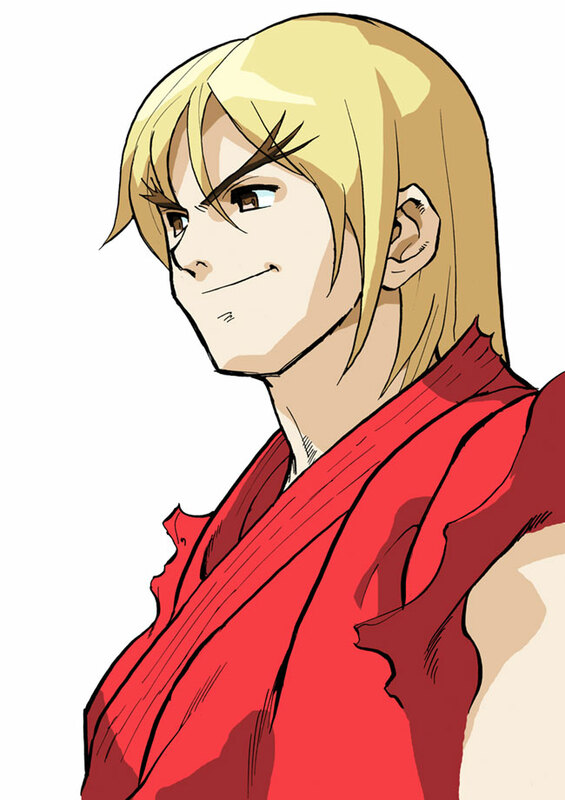 Aside from the Ism System, innovative mechanics such as Air Blocking, Air Recoveries, and Guard Breaks provide a very different Street Fighter experience from what returning fans might expect. 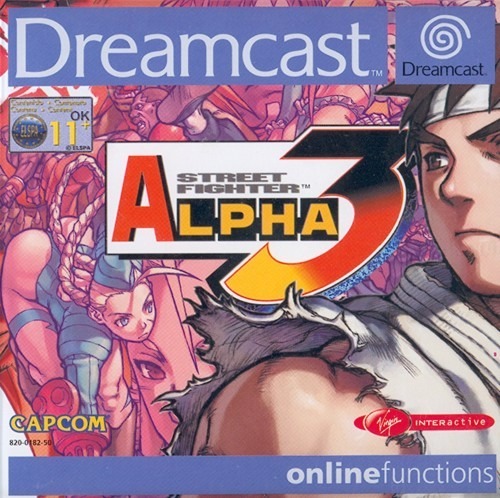 All of the unique gameplay elements combined create a very unique experience in Alpha 3. 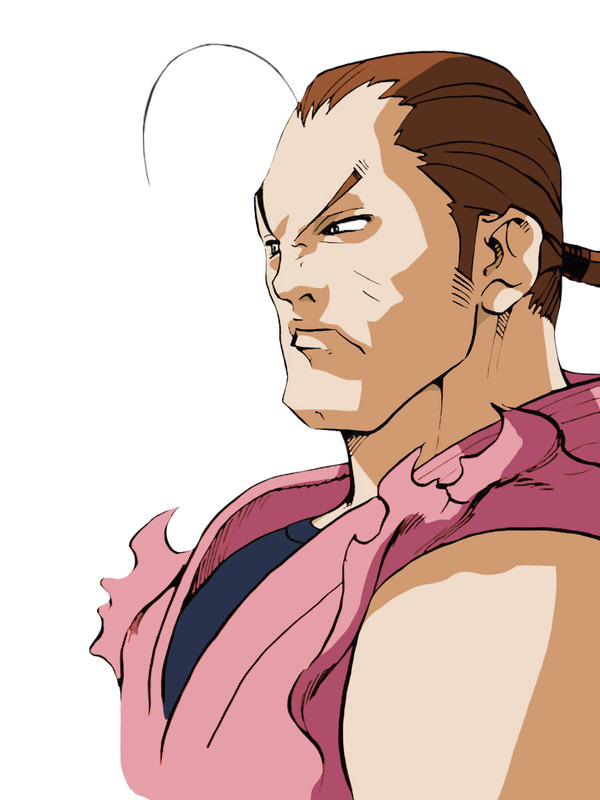 Vega never looked so badass. 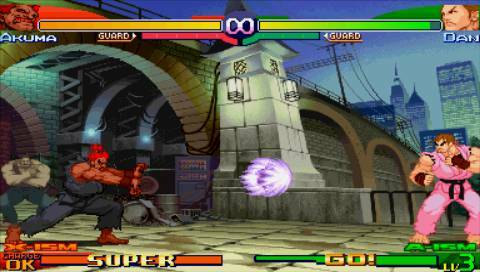 The home versions of Street Fighter Alpha 3 weren't simple ports like previous installments, and actually include some great bonus modes and even new characters. 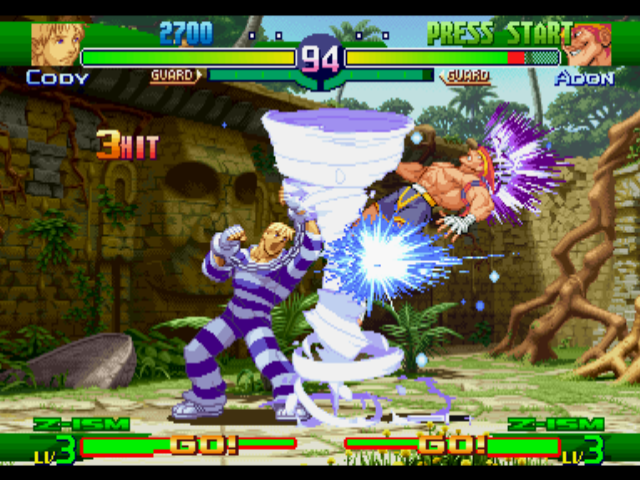 The console exclusive World Tour mode allows players to choose a character and level them up with various power-ups and abilities as they fight their way through the roster (and even some 2-VS-1 battles). 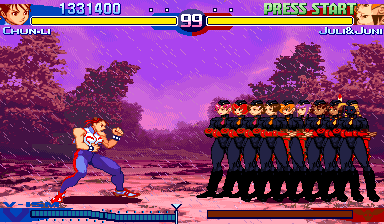 Dramatic Battle is a 2-VS-1 battle mode which enables 3 characters on screen at once... and considering all of SFA3's flashy gameplay mechanics, the action can get pretty crazy at times. 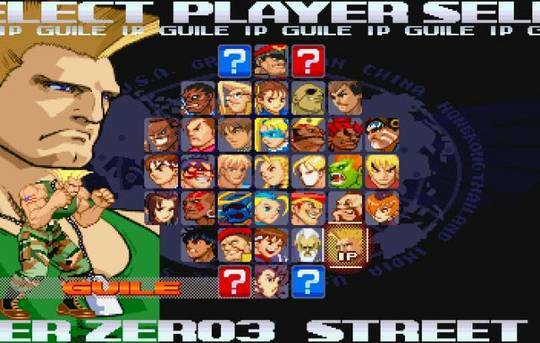 Additionally, the home versions also include the final three characters from Super Street Fighter 2 (who were previously missing in the Alpha series): Dee Jay, T. Hawk and Fei Long, along with the old school SF2 icon, Guile... completing the original cast from Super Street Fighter 2 Turbo. 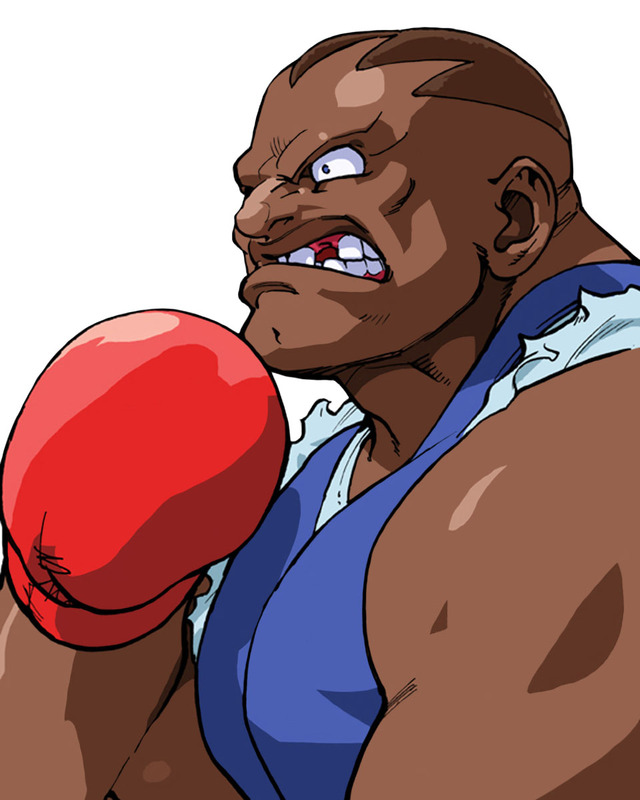 Balrog also makes his way onto the default roster (previously a secret character in the arcade version), along with console-exclusive characters: Evil Ryu and Shin Akuma. 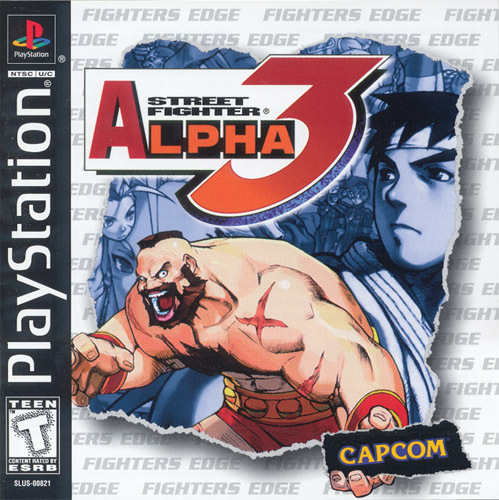 There are two sequels to the original version of Street Fighter Alpha 3 which add even more characters to the superb roster, and they can both be found on handheld systems. 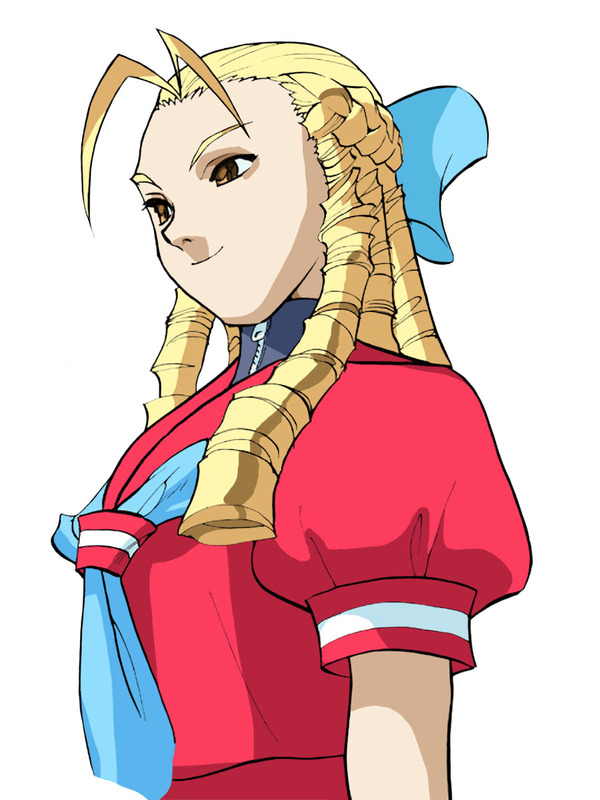 Street Fighter Alpha 3: Upper on Gameboy Advance adds Yun, Maki & Eagle and the later Street Fighter Alpha 3: Max adds those same 3 characters to the line-up, plus Ingrid! 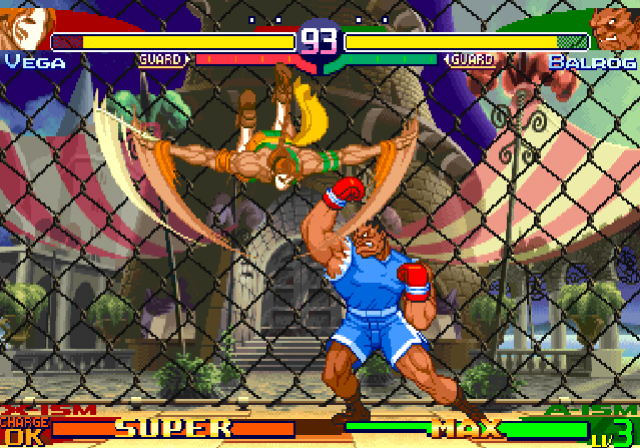 On that note, don't miss TFG's full review of SFA3: Upper and SFA3: Max for more details! 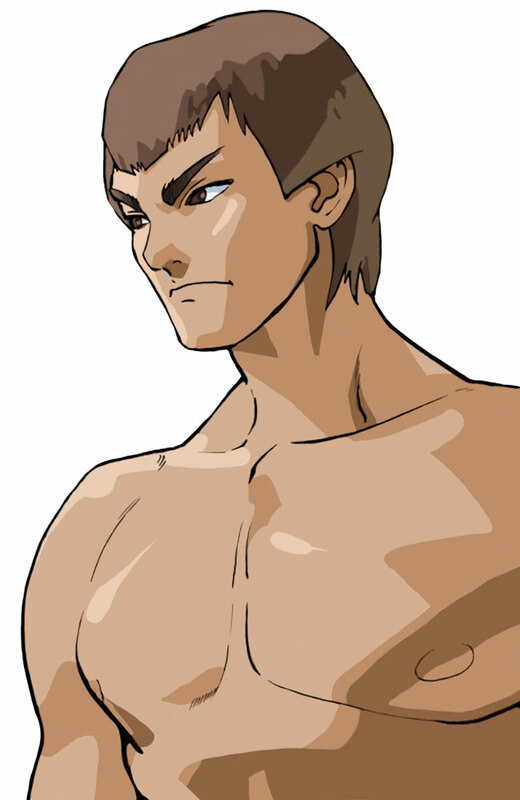 Click Here for all char. 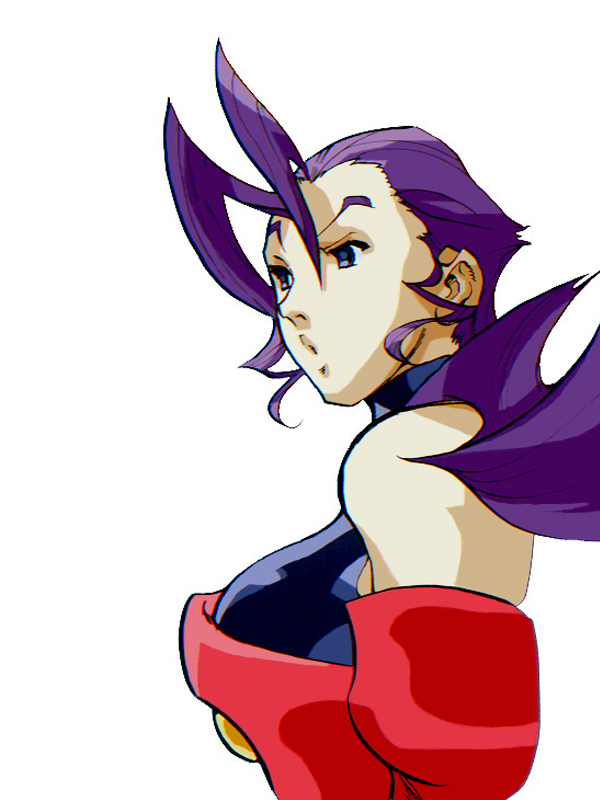 select artwork! 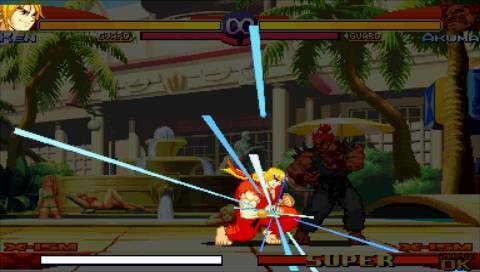 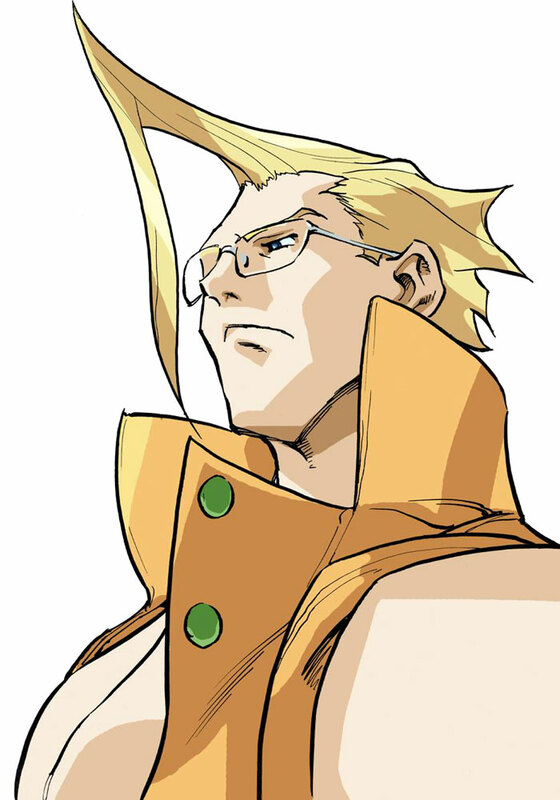 At the time, Street Fighter Alpha 3 was "thinking outside the box" Street Fighter. 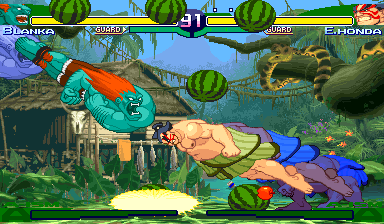 For people expecting the "typical" Street Fighter formula of the early 90's... SFA3 likely changed their perspective, offering a fresh art style, interesting newcomers, and allowing everyone to play the game exactly how they want. 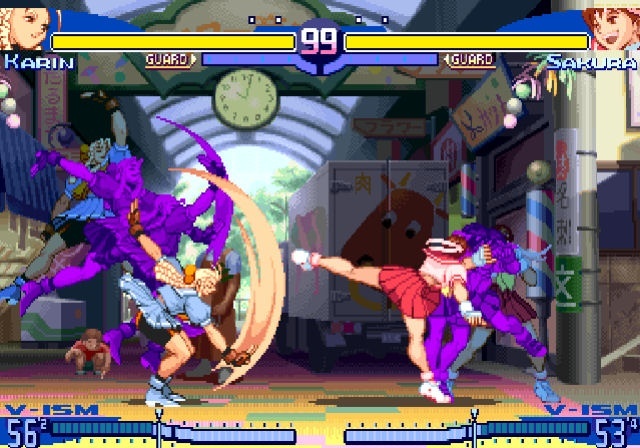 For those who really dived in, SFA3 provided a very different gameplay and visual experience. 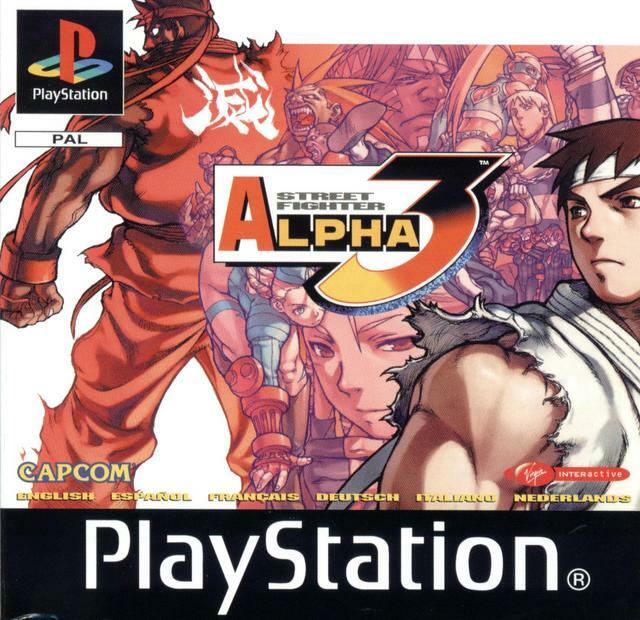 SFA3 was no doubt an important stepping stone in the series history, and is still one of the finest iterations of Street Fighter known to man. 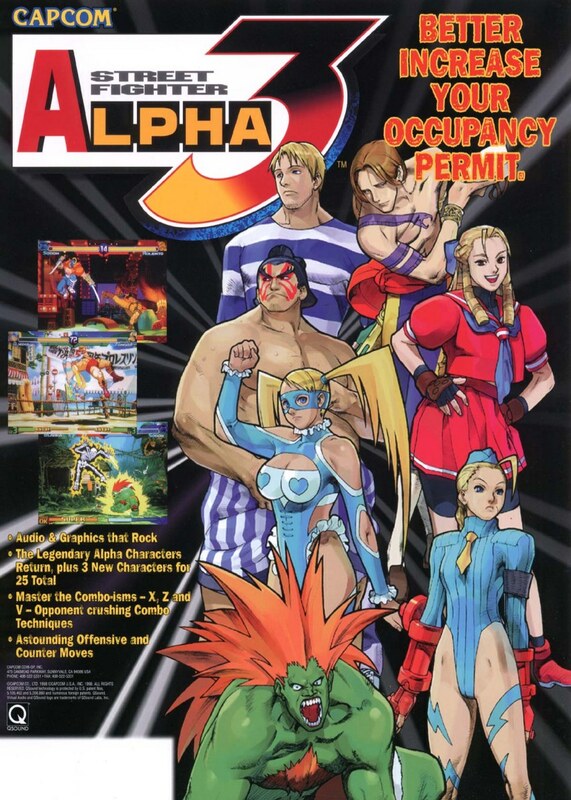 The unique gameplay mechanics, the 3-Ism System, the excellent roster, the hard-hitting original music, the diverse backgrounds, the beautiful artwork by Bengus.... 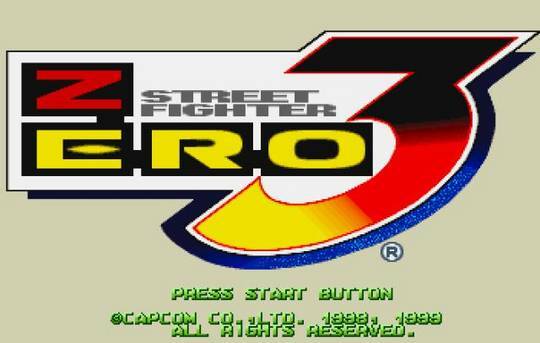 Indeed, pretty much everything about SFA3 makes sense and just feels "right". 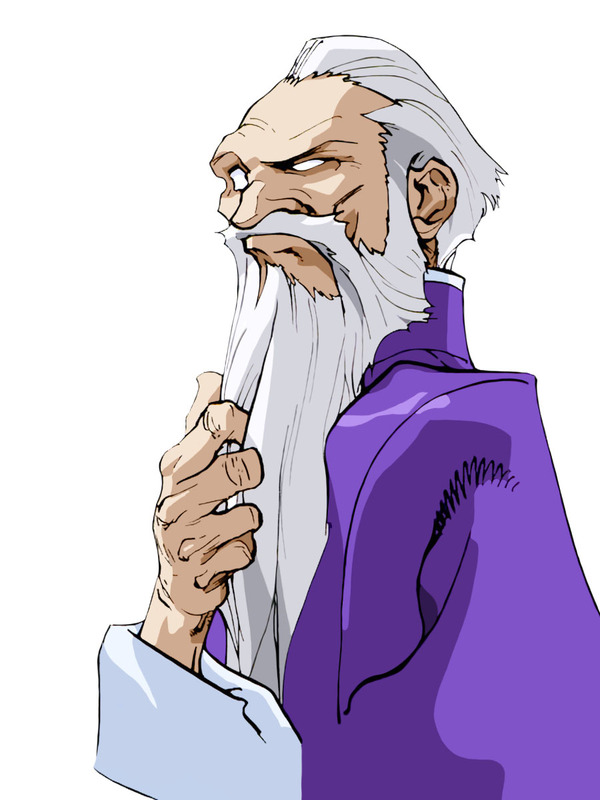 Feng shui if you will.